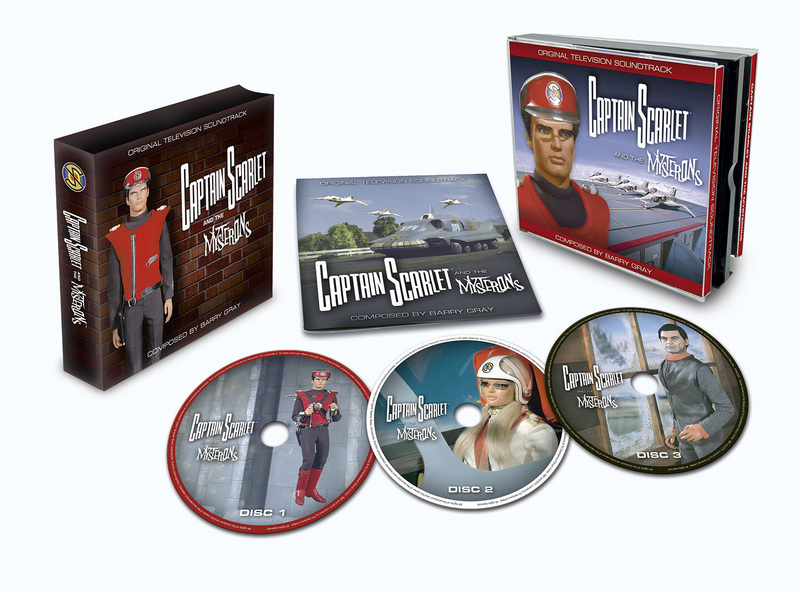 Captain Scarlet soundtrack CD now on sale! Fanderson’s eagerly awaited triple soundtrack CD of music from Captain Scarlet and The Mysterons is now available to pre-order online today! The most comprehensive set of recordings from the series ever produced comes complete with a full-colour booklet and is presented in a special souvenir slip case. The release is limited to just 1,000 copies and is exclusive to Fanderson club members. The CD box set will be officially premiered at The Future is Fantastic! next weekend and no copies will be available before then. However, we couldn’t prolong the wait for club members attending who wish to pre-order their copy in advance. We expect to start sending out the first orders from Thursday 8th October. But remember, the fastest way to get your copy and to avoid the dreaded postage charge is to come along to next weekend’s convention and buy your’s in person! This entry was posted in Merchandise and tagged Captain Scarlet, Soundtrack by admin. Bookmark the permalink.